How can we make complexity work for us? 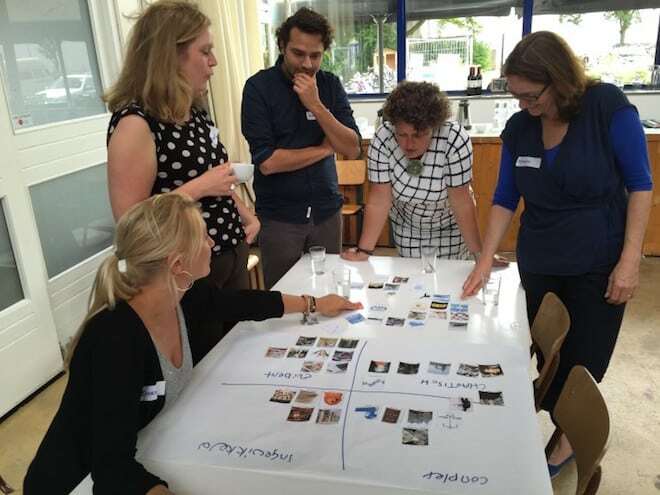 This is the central question we explored on June 10, with 20 experienced professionals during the ‘For the love of complexity’ workshop in the Vechtclub in Utrecht. Complexity, we deal with every day, and yet we are still not sure how it works. What happens in a complex system? What is the difference between complicated and complex? Why are blueprints not effective in complex situations? What is needed to create systemic change? Through a series of experiential exercises, presentations and reflections, we explored the characteristics of complexity step by step. Then participants brought in practical cases, which were discussed with the help of Perspectivity’s newest tool: the Tangram Transformation Approach. This enables you to explore your issue on the basis of the main pillars of complexity and to decide on next action steps.